Contact Us on Large Orders for more Quantity Discount Pricing! Attention: Internet pricing only applies to purchases made online and not in store. Drill Bits T1D per Package. Drop in anchors zinc plated are concrete expansion anchors with an internally threaded heavy duty machine thread with an all steel shell usually used in concrete construction applications and are set with a special setting tool sold separately. Grade 8 Hex Bolts coarse thread also known as Grade 8 Hex Cap Screws coarse thread are medium carbon alloy tempered steel bolts used where hardness and high strength is desired. Stainless Phillips Pan Head Machine Screws are fully threaded machine screws to the bottom of the pan head and commonly used with a stainless machine nut and available in 2/56 thru 3/8-16 diameters and 1/8" thru 4" lengths. Socket Head Cap Screws Alloy Steel Coarse Thread a/k/a socket head bolts or allen bolts have a small round head with a hex or Allen drive and are used with a hex socket wrench a/k/a hex key or Allen wrench. Socket Head Cap Screws Stainless Steel Coarse Thread a/k/a socket head bolts or allen bolts have a small round head with a hex or Allen drive and are used with a hex socket wrench a/k/a hex key or Allen wrench. Stainless Steel Hex Bolts Coarse thread a/k/a Stainless Hex Cap Screws NC are high corrosion resistant bolts and a non-magnetic alloy of steel commonly used in building and other applications to avoid rust and corrosion. Hex Tek Self Drilling screws a/k/a Hex Teks or Hex washer head tek screws are zinc plated hex washer head self drilling sheet metal screws with a drill point tip or self-tapping tip and threaded to the hex washer head. Torx Drive Floor Screws a/k/a Torx flat head floor board screws are flat head countersunk screws with a torx drive commonly used for installing floors. Since 1966, Crouch Sales is a family owned and operated fasteners distributor with a large warehouse and inventory of bolts, nuts, and screws. Our customers buy bolts, nuts, screws, anchors, socket screws and other fasteners online across the United States in addition to our walk in local Dallas Counter Sales. We have expanded and opened a new Waco Sales Office servicing Waco and Central Texas customers. We sell fasteners online nationwide. Our customers looking for fasteners experience our "Service First" attitude and our experienced Sales Staff's knowledge of our large inventory of industrial and construction fasteners and other products. Buy online our extensive stock of Bolts, Hex Bolts, Nuts, Washers, Screws, Stainless, Steel, Brass, Nylon, Socket Products, Anchors, Drill Bits and request quantity discount pricing. We continue to add more of our large inventory of fasteners products to this site to buy online each day. Please select the Products you are seeking on the left hand side of this site to search for your specific products. Buy hex bolts, hex cap screws, nuts, socket cap screws, and other fasteners online and REQUEST A QUOTE for your fasteners needs. Give our Sales Staff a call or stop by our Dallas Sales Counter and warehouse for assistance with all of your fastener needs. Our Sales Counter and 12,000 square foot warehouse are conveniently located near downtown Dallas at 2636 Irving Blvd., Dallas, Texas, 75207, at the corner of Irving Boulevard and Medical District Drive. We take great pride in our "Mr. Service" company logo and we would welcome the opportunity to let us earn your business and make you a repeat customer with our "Service First" attitude and our quantity discount pricing. Please browse the links on the left to view our large inventory of fasteners and other industrial and construction products. 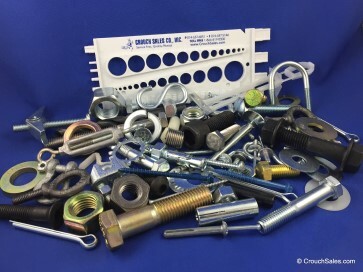 We carry an extensive variety of sizes and alloys of bolts, nuts, washers, screws, socket products, anchoring products, anchoring adhesives, all thread rod, rivets, drill bits, bits, drivers, taps, dies, reamers, burs, thread repair kits, tools, hardware, chain, wire rope, pins, clips, rings, tamperproof fasteners, and metric fasteners. Bolts come in many sizes, alloys, and threads and we stock a large inventory of the following: Hex bolts also known as hex cap screws such as grade 8 coarse thread bolts, grade 8 fine thread bolts, grade 5 coarse thread bolts, grade 5 fine thread bolts, stainless coarse thread bolts, stainless fine thread bolts, brass bolts coarse, A325 bolts coarse, galvanized bolts coarse, nylon bolts coarse and many other types of bolts such as carriage bolts, lag bolts, frame bolts coarse, frame bolts fine, serrated flange bolts, elevator bolts, hanger bolts and foundation bolts. Screws come in many sizes, heads, alloys, threads and drives and we stock a large inventory of the following: Sheet metal screws also known as tapping screws in zinc plated such as phillips flat head zp, slotted hex washer head zp, phillips oval head zp, phillips pan head zp, and phillips truss head zp. Stainless steel sheet metal screws or tapping screws such as phillips flat head ss, phillips oval head ss, phillips pan head ss, and phillips truss head ss. Machine screws zinc plated such as phillips flat head zp, phillips pan head zp, phillips oval head zp, phillips truss head zp, slotted flat head zp, slotted pan head zp, slotted truss head zp, and hex washer head slotted zp. Stainless steel machine screws such as phillips pan head ss, phillips flat head ss, phillips oval head ss, phillip truss head ss, slotted pan head ss, slotted flat head ss, slotted round head ss, and slotted truss head ss. Tek screws also known as self-drilling screws or teks in zinc plated such as hex head teks zp, hex bonded seal teks zp, phillips flat head teks zp, modifed truss teks zp, phillips oval teks zp, phillips wafer teks zp, flat head plymetal teks zp, and hex teks 5. Stainless tek screws or stainless self-drilling screws such as hex head teks ss, hex bonded seal teks ss, phillips flat head teks ss, and phillips pan head teks ss. We also stock many other types of screws such as drywall screws, thread cutting screws, torx floor screws, u drive screws, wood screws, thumb screws, and dowel screws. Mechanical Anchors are available in many types and are used for light, medium and heavy duty applications and we stock a variety of expansion anchors, screw anchors, bolt and shield anchors, impact anchors and pin anchors including zinc plated wedge anchors, stainless wedge anchors, zinc plated drop in anchors, stainless drop in anchors, drop in setting tool, flat head sleeve anchors, hex nut sleeve anchors, mushroom head spike anchors, short lag screw shield anchors, long lag screw shield anchors, flat head screw anchors, hex head screw anchors, double machine bolt anchors, single machine bolt anchors, calk-in machine bolt anchors, hollow wall drive anchors, hollow wall sleeve anchors, E-Z Drywall Ancors zinc, plastic plug anchors, poly-toggle hollow wall screw anchors, mushroom head toggle bolts, Toggler Alligator Wall Anchors, Toggler Snaptoggle toggle bolts, zamac nailin drive pin anchors, and nylon nailin drive pin anchors. We stock socket cap screws in alloy steel and stainless steel in both coarse thread and fine thread including socket head cap screws coarse, socket head cap screws fine, flat head socket cap screws coarse, flat head socket cap screws fine, button head socket cap screws coarse, button head socket cap screws fine, socket set screws course, socket set screws fine, stainless socket head cap screws course, stainless socket head cap screws fine, stainless flat head socket caps course, stainless flat head socket caps fine, stainless button head socket cap screws course, stainless button head socket cap screws fine, stainless socket set screws course, and stainless socket set screws fine. Our mission statement since 1966 has been “Service First, Quality Always”. We take pride in the service and special attention we provide to our customers. We have a knowledgeable Sales Staff ready to assist you with over 100 years of combined experience with our company. All of our Sales Staff have knowledge of our fully stocked warehouse and can answer questions about our products and check stock immediately. 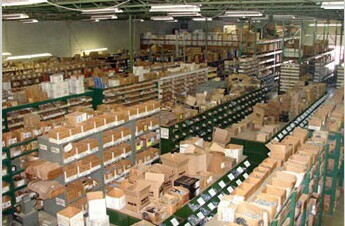 The Sales Staff will also be responsible for making sure your order is ready and accurate before delivery. Ask our Sales Staff about our delivery options for your order such as same day deliver, UPS Delivery, USPS Flat Rate, Will Call Pickup, and Local Truck Delivery. Our delivery areas include Dallas, North Dallas, Far North Dallas, Frisco, Plano, Addison, The Colony, Little Elm, Denton, Corinth, Lake Dallas, McKinney, Allen, McKinney, Gainesville, Richardson, Garland, Rockwall, Lake Highlands, Mesquite, Preston Hollow, Duncanville, Desoto, Red Oak, Glenn Heights, Ovilla, Cedar Hill, Grand Prairie, Arlington, Fort Worth, Burleson, Byers McCart, North Richland Hills, Keller, Colleyville, Mansfield, Grapevine, Coppell, Denton, Valley Ranch, Carrollton, Las Colinas, Lewisville, Coppell, Waxahachie, Midlothian, Lancaster, Wilmer, Seagoville, Balch Springs, Crandall, Forney, Kaufman, Waco and more. Our Sales Staff is on site (Monday-Friday 7:00 a.m. to 4:00 p.m. CST) and ready to assist you with Telephone Orders, Fax Orders, Walk-In Sales Orders, Online Orders delivery options or any combination of the above.